In honor of Breast Cancer Awareness month, I wanted to put up a post to send love to one of my best friends, Lisa, and my mother-in-law Carolyn, who are both amazing women, and breast cancer survivors! Lisa is amazing, is eight years cancer free, and just ran a half marathon a couple weeks ago with a team of other survivors. If you’ve been reading here a while, you might remember that she’s my friend who first showed me the original Pink Glove Dance Video… and was in the sequel! Check out the video; you’ll be glad you did; it’s so inspiring and I guarantee it will leave you with a smile on your face! You rock, Lisa! Love you! 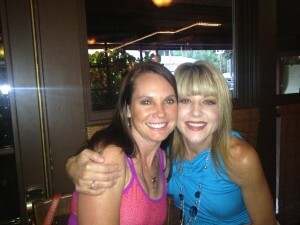 Lisa and I at dinner in Lake Tahoe this summer. And as for my mother-in-law, she’s beautiful, inspiring, and one of the strongest, most faith-filled women I know! Here’s a photo at one of the cancer walks we did together. She is past her five-year mark too, and we are so happy! She is amazing, strong, and I love her more than I can say! So here’s to Lisa and Carolyn, and all the other amazing breast cancer survivors out there. You inspire me, and so many others! 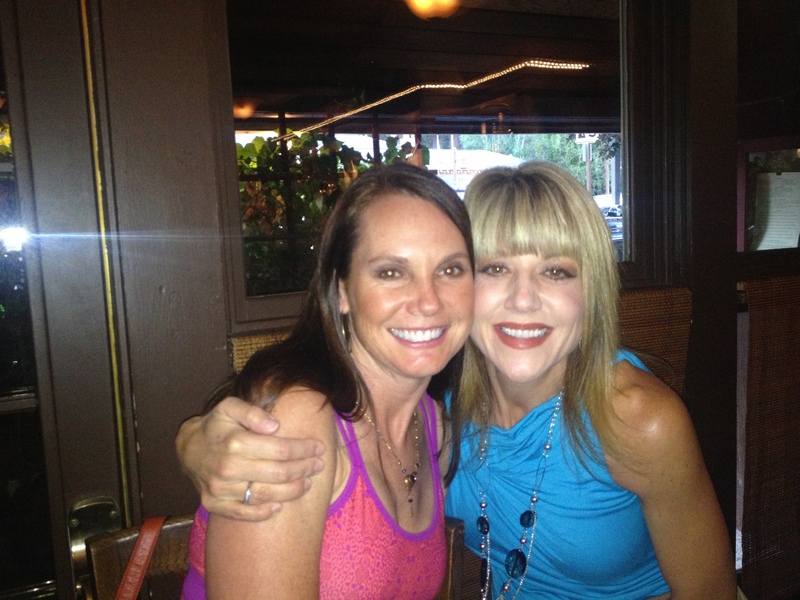 Kicking off Breast Cancer month with my friend Lisa!